Are you looking for the current status of the parties in a UN Treaty or want to see the entry into force date? 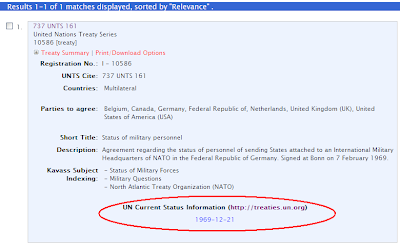 In addition to providing you with key treaty data and a link to the text of the treaty as it appears in the UN Treaty Series, HeinOnline now links the most current status of the treaty as it is presented on the United Nations website at http://treaties.un.org. There are two ways to find the current status of a treaty in HeinOnline. The first is by searching for the treaty. 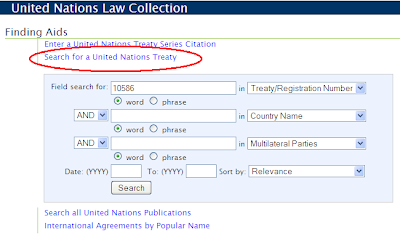 From HeinOnline’s United Nations collection home page, click on Search for a United Nations Treaty. Enter the treaty number, for example 10586, select Treaty/Registration Number from the drop down menu and click search. When the result appears, you will be presented with the key treaty data and a link to the text in the UNTS. Below the key data, you will see a link titled “UN Current Status Information” and the EIF date below that. Click on the EIF date to view the current status of the treaty as it appears at http://treaties.un.org. 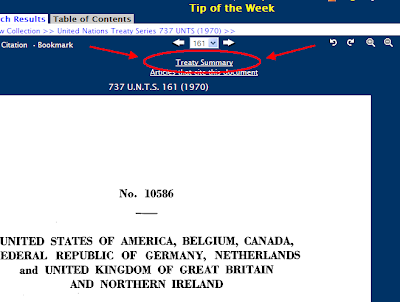 You can also access the current status information when reading the treaty text in the UNTS. 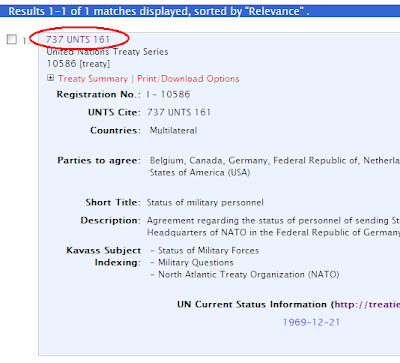 From our search result, click on the UNTS citation, 737 UNTS 161, to view the text of the treaty. Once the page opens, you will see the “Treaty Summary” link located above the page. 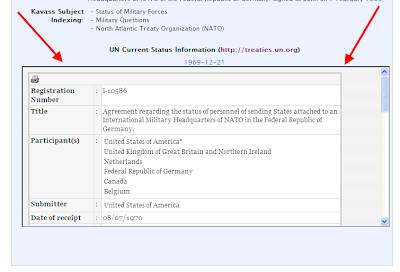 Click on this link and you will see the key treaty data followed by the “UN Current Status Information” link.